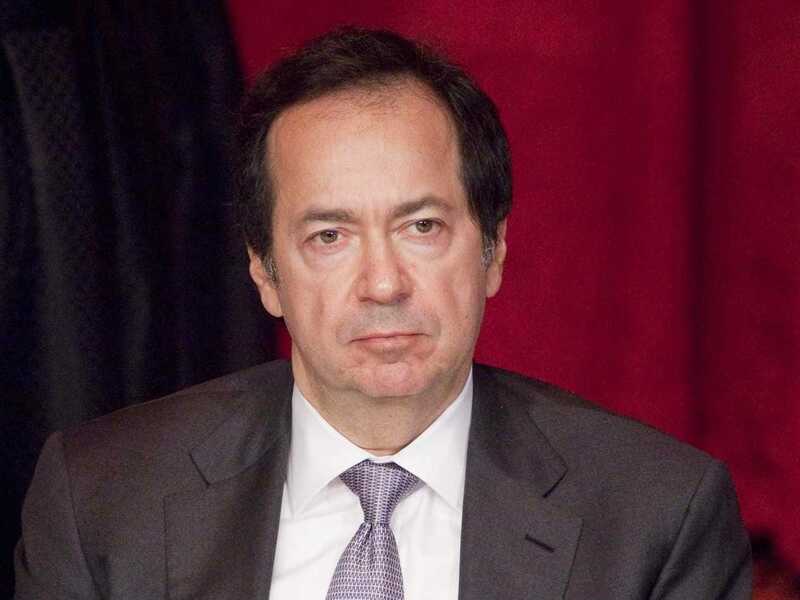 This could be bad news for John Paulson. Shares of insurance company Genworth tanked crashed after the company reported an $US844 million loss. The stock was last trading at $US8.98, down $US5.09 or 36.1%. John Paulson’s Paulson & Co. was the largest hedge fund shareholder of Genworth with 9,000,000 shares, or a 1.81% stake, according to the most recent 13F data compiled by Bloomberg. According to our calculations, that means Paulson could have lost $US45.9 million on his position since yesterday’s close. Of course, the 13-F data is dated. It’s representative of his stake as of June 30. He could have done anything with that position during since that time, but we won’t find out until the next 13-F filings come out later this month. Bloomberg News previously reported that Paulson first bought 8.4 million shares of Genworth in early 2013 with an average cost of $US7.67. He also gave it a price target of $US24 earlier this year in an investor letter, according to that Bloomberg report. A spokesperson for Paulson declined to comment.